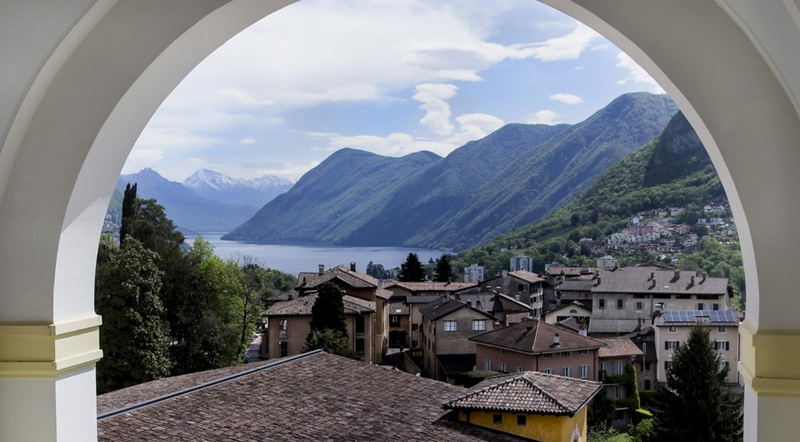 For seven weeks each summer, a community of professional artists gathers amongst the mountains and lakes of southern Switzerland and devotes itself to providing a transformative experience to students hailing from more than 50 nations. An indispensable component of the TASIS Summer Programs and known simply as DPAT, this Dedicated Performing Arts Team of actors, musicians, dancers, and writers runs comprehensive musical theater courses for middle school and high school students and performing arts workshops for younger students; prepares students of all ages for a variety of musical theater, drama, dance, and music performances; showcases its own considerable talents with a staff talent show while encouraging students to do the same; and offers a musical revue, classical music evening, and other cultural events that often bring leading professionals from the region to campus. The arts have played a central role at The American School in Switzerland since its founding in 1956 by M. Crist Fleming, who believed “a love of literature, the arts, and the performing arts is the heart and soul of education.” Chairman of the Board Lynn Fleming Aeschliman has followed in her mother’s footsteps as TASIS’s greatest champion of the arts, and while the performing arts have long been an integral part of the School’s summer offerings, it was the creation of DPAT in 2013 that pushed the program to new heights. 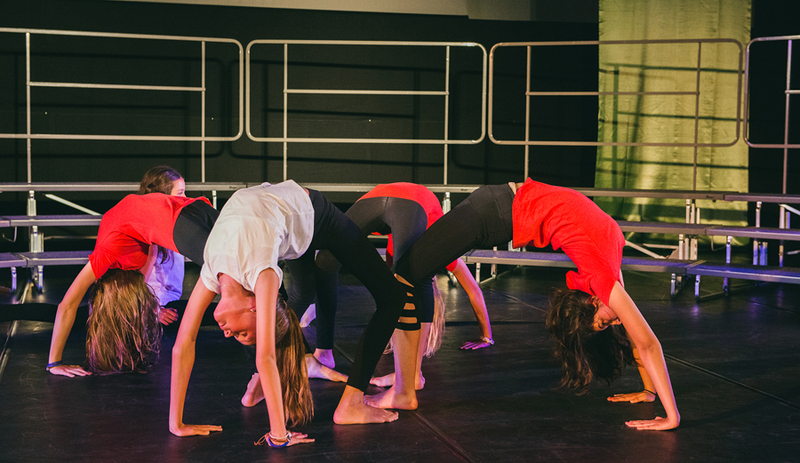 The TASIS Summer Programs consist of three divisions—CDE (ages 4½–10), MSP (ages 11–13), and TSP (ages 14–18)—and prior to 2013, each division had an independent performing arts program. Following the summer of 2012, Todd Fletcher—who had been involved with the arts at TASIS since 1988 and wrote an original musical about M. Crist Fleming in 2000—proposed a set of centralized standards and the creation of one team to work across all three divisions. Fletcher drew upon his extensive experience with the performing arts at TASIS to pen an impressive treatise, and DPAT was born. “Todd was suddenly freed up to hire true professionals who could focus on what they are passionate about—the arts—without all the other responsibilities that come with being a summer counselor,” said Matthew Frazier-Smith, who was hired as a theater and dance teacher in 2013, promoted to Assistant Director of DPAT for the first session of 2014, took over for Fletcher as director for the second session that summer, and has led the thriving program ever since. Frazier-Smith has retained many holdovers from Fletcher’s time while adding several new hires of his own. 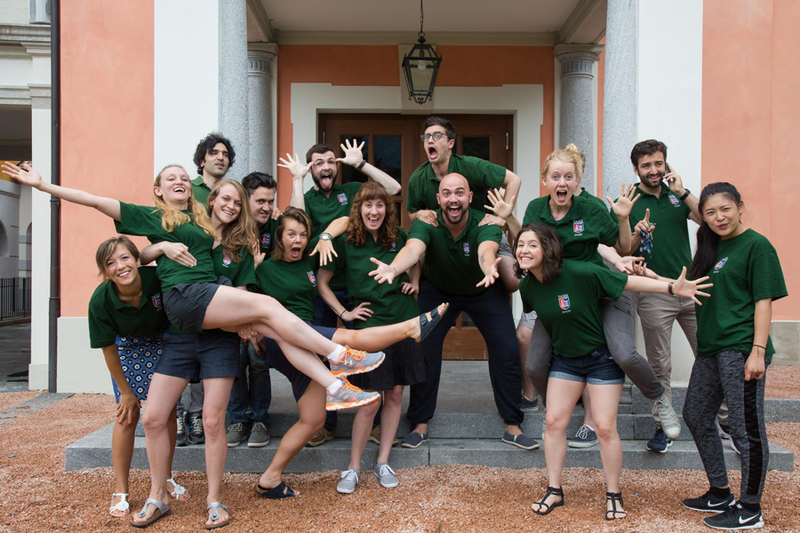 His team now consists of 17 professionals from all over the world with areas of expertise ranging from acting and singing to choreographing and playwriting. They typically spend 75 percent of their time teaching and 25 percent performing for students. The artists’ enthusiasm and love for their craft is palpable the moment they set foot on campus each June, and they all understand what it will take to prepare students for a series of original musical theater productions and a variety of other performances in just three weeks—only to do it all over again with an entirely new group of students when the second session begins. TJ Liquori, who earned a Bachelor of Music degree in Music Education from the world-renowned Berklee College of Music and teaches in Massachusetts during the academic year, joined the team in 2015 and concedes that he did not initially understand that the “Dedicated” part of the group’s title was was added to address the need for a team of teaching artists dedicated specifically to the performing arts. As Fletcher lays out beautifully in his treatise, a successful performing arts program is one that provides both fun and meaning, accounts for the importance of both process and event, creates opportunities for joy (defined as the summation of fun, meaning, struggle, and success), empowers students to be collaborators, recognizes the primacy of language, and imparts life lessons. Now that Frazier-Smith has guided DPAT for five full summer sessions, he can take for granted that, at a minimum, both his staff and his students will work incredibly hard, accomplish more than they thought would be possible, and have plenty of fun along the way. He and his team also go to great lengths to create an environment in which each student will contribute actively and find his or her own meaning in the process. Frazier-Smith also feels strongly that one of DPAT’s most important jobs is to model ideas and values for students. This may take the form of exhibiting a strong work ethic, a positive attitude, and a creative spirit, but it also includes ensuring that all the original musical theater productions—the heart of the program—convey messages that help combat pressing issues faced by today’s youth. Actor, writer, and educator Stephanie Figer, who has been a part of DPAT since 2014, wrote the book and lyrics and directed Sketch, a thoughtful musical that compels its audience to examine the perils of middle school through the eyes of a bully victim. Figer collaborated closely with fellow DPAT members Liquori and Michael Rosenbaum, who co-wrote the music for the show. Performed by students taking the Middle School Program’s Musical Theater course on both July 20 and August 12, Sketch centers on a bookish 11-year-old girl named Violet, a social outcast who spends her days ducking insults and dreaming up villainous alter-egos for her classmates and teachers. When the bullies who have harassed her for years discover her artistic talents, they convince her that sketching parodies of students and teachers is a victimless crime. At the show’s climax, Violet must decide between using her talents for her own selfish gain or for the good of others. Figer—who earned a degree in Theatre Arts from Point Park University and since 2008 has divided her time between performance and teaching, working for both Merry-Go-Round Playhouse and Children’s Stage Adventures—wanted her students to work with a script that authentically represented their experience as modern-day middle schoolers. With heartbreaking stories of bullying-related suicides in the news far too often and the sobering statistic that bully victims are between 2 to 9 times more likely to consider suicide than non-victims (according to a Yale University study), it’s clear that this is a pressing social issue in demand of more attention. A further study in Britain concluded that at least half the suicides among young people are related to bullying and determined that 10–14-year-old girls may be the group at the greatest risk. Figer took aim at this demographic with the character of Violet, and she was amazed at how her students responded. Students approached the topic thoughtfully, acknowledging that we don’t live in a black-and-white world where people are either bullies or victims. Given the diverse student body at TASIS—more than 50 nationalities are represented on campus each summer—Figer’s students quickly came to understand that their experiences were not tied to their particular home country, cultural background, or group of friends. Once students dove in and connected with the characters, they took ownership of the show and demonstrated a level of dedication that amazed Figer. Students who have graduated from the Middle School Program (MSP) and will be returning as TSP students (ages 14–18) this coming summer will now have the opportunity to continue their growth in the intensive TSP Musical Theater course, which will be offered for the first time since 2014. “I am so thrilled the TSP Musical Theater course has been reinstituted because it means these young actors will get to continue their artistic journey under the guidance of the best instructors the industry has to offer!” said Figer. The comprehensive course, which is designed to build upon the MSP offering, includes classes in music, dance, and acting taught by leading professionals. In support of the founding DPAT principle that students must also be collaborators—providing them, as the treatise states, “a sense of ownership that comes from true contribution to a project or process”—students play a significant role in crafting the original musical they perform at the end of the session. Liquori, who also wrote much of the music for the TSP production last summer, is thrilled that TSP students will now be able to devote as much time to the original musical as their MSP counterparts. Perhaps most importantly of all, the Musical Theater course will provide the DPAT teachers much more time to get to know the students they work with. Last summer’s original TSP musical, Famous, explored a theme that surely hit home with many of its student performers, most of whom were participating in their first musical production. 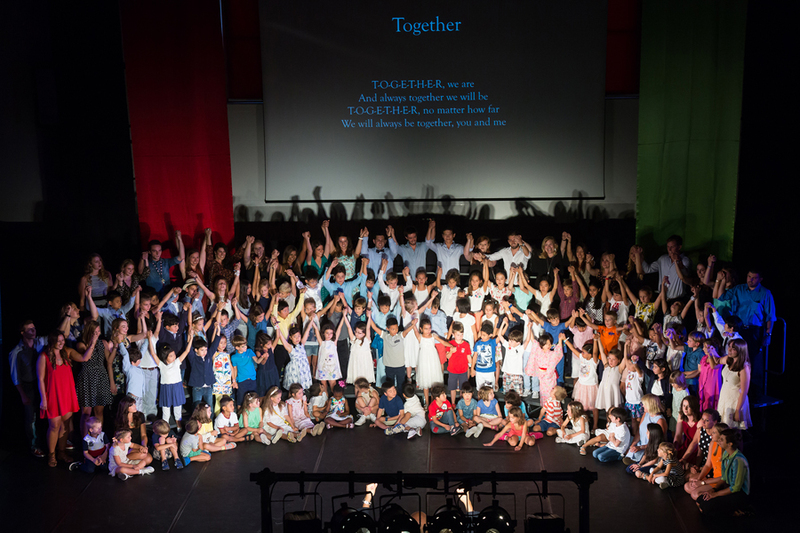 The show was performed in the Palmer Center on the TASIS campus at the conclusion of both the first and second summer sessions. Written by Rosenbaum and Liquori and directed by Rosenbaum, Famous tackles the idea that we must be forced outside our comfort zone to reach our potential and that it is only through our mistakes that we learn what we are truly capable of. The musical follows the paths of a few young artists in their quest for recognition and admiration through performance in the fictitious worldwide reality competition television show Who...Wants to be Famous? Contestants compete for their claim to fame and in turn find out what it means to be known and the opportunities that recognition can bring. As Liquori indicated, without the benefit of a TSP Musical Theater course, the group had to rely upon just seven evening rehearsals to pull the whole show together. While the debates about the effects of screen time on a child’s development will rage on interminably, with opinions ranging from the idea that screens are “digital heroin” to the belief that this conclusion is “digital garbage,” it’s clear that many children are spending too much time staring at screens and not enough time interacting with nature or engaging in imaginative play. Leonard, who teaches Musical Theater and Drama at a private school in New York City during the academic year, developed the idea for last summer’s CDE musical, Imagination Station, after observing an alarming trend in his American classes. Leonard set to work and penned the book, music, and lyrics for Imagination Station, which premiered at TASIS on July 20 and was also performed on August 12. Imagination Station is set in the year 2500. Everyone lives on a space station, robots have taken control of humans, and reading, writing, and individual thinking have become extinct. A lone child remains curious and embarks on a magical adventure to an exciting and colorful land, where she begins to understand the importance of creativity, imagination, and individual thought. Leonard, who also wrote and directed an uplifting musical called Petey Peach Tree that was performed in the summer of 2014 and will be reprised by the TASIS Elementary School Theater Program this June, expects even his youngest students to serve as collaborators in the artistic process. The net result was an event that was entertaining for the audience and a process that was highly educational for the young performers. Frazier-Smith is adamant that all students—regardless of experience level—can thrive in the performing arts program at TASIS, and he encourages anyone with an interest in acting, writing, singing, dancing, or playing an instrument to apply for a spot this summer. One of the biggest benefits of working exclusively with original scripts and student-created material is that the musical productions and the Musical Theater courses can be molded to best suit the strengths of each student performer. The inspiring results are what keep the core team returning year after year. 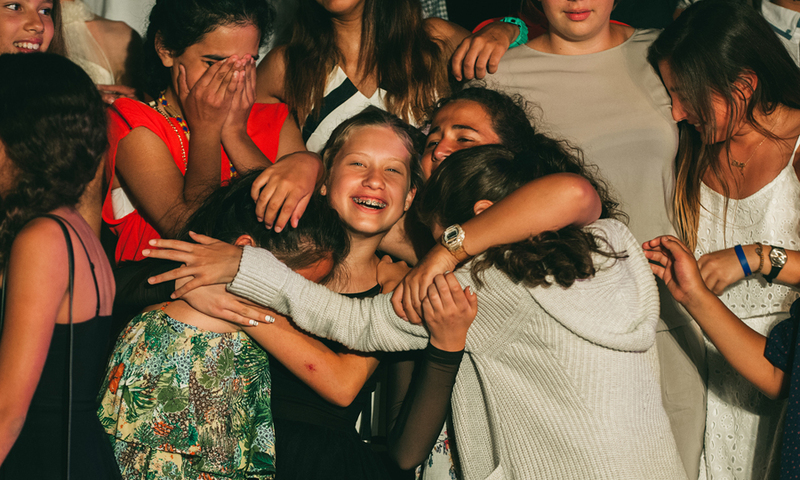 Visit the TASIS SmugMug page to see many more images from the 2016 Summer Programs.